The Vault is a bi-monthly Hip Hop Event like no other! 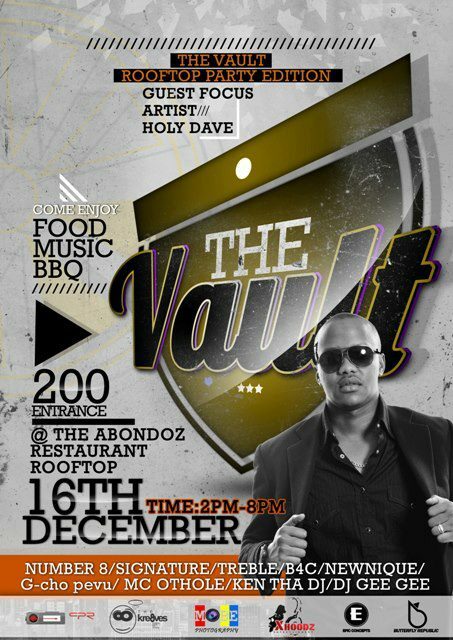 The 2nd edition of the Vault dubbed “the Roof Top Party Edition” will happen on the 16TH DECEMBER 2012 at the ABONDOZ RESTAURANT ROOF TOP,at the Luther Plaza, Nyerere rd,along Uhuru highway opposite St. Andrews Church Nairobi.The event kicks off at exactly 2PM TILL 8PM [the extended Version] so it will be great if we all kept time.On the decks we will have some of the Illest young, Kenyan and saved Deejays, we Got the Vault’s official Deejay, Ken tha Deejay backed by one of Kenya’s greatest Hip Hop Deejays, Deejay Gee Gee who is also part of the Tri Crew. 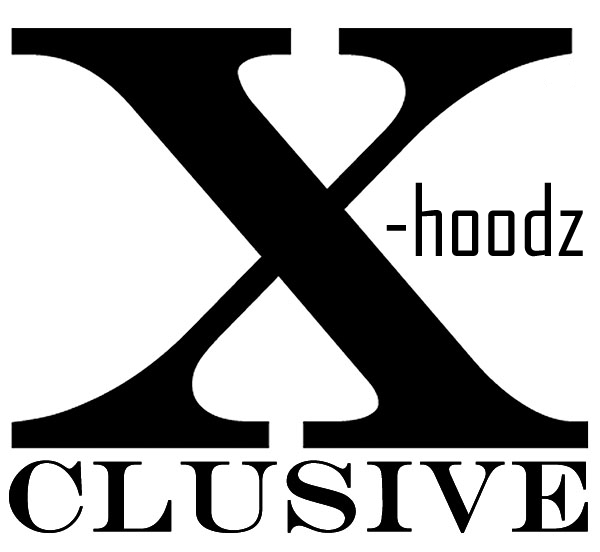 n X-hoodz entertainment Deejay Priesty.On Stage we will have some of your favorite artist favorite artists, we talking of Veteran Poet NUMBER 8, SIGNATURE, TREBLE, B4C, G-CHO PEVU, ALEX [NEWNIQUE],TIO [Break Out Artist] and Multiple Award winner HOLY DAVE who will be the Focus Artists of the day, get to know more about him, his vision, music n future plans, u even get to ask him question. [how cool is dat??] 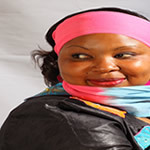 :)Our MC for the day will be non other than the one and only OTHOLE. NB: NO FOODS AND DRINKS FROM OUTSIDE WILL BE ALLOWED ON THE VAULT VENUE. Charges for this event is only 200 BOB, get Ur ADVANCE tickets at the Xtreme Videos shop and at the Abondoz Restaurant to avoid the line at the door. This is how it works, send your money via M-pesa to the above number [Zack] and you will be sent your ticket number, on the event day come with your ID at the door and you collect your ticket. Dress code:keep it simple, funkie and sunny.